Whether you have natural or relaxed hair, we all want the same thing: healthy hair! There is no greater feeling than the confidence you get when your hair not only looks great, but is also healthy. We know that even healthy hair sheds, because that is a natural part of the hair growing process. So why do we freak out when we see even one strand of hair on our bathroom floors? 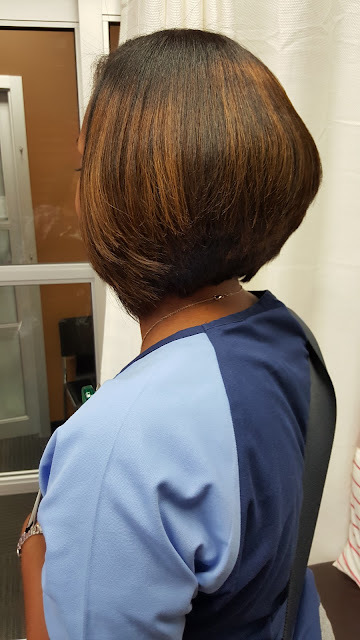 There are instances however, where the hair is doing more than shedding and in those cases see your trusted professional hairstylist to address those issues. Today I will be giving you 10 reasons why your hair could be shedding. Its normal!- It is perfectly normal to shed at least 100-200 strands of hair daily. Our hair is constantly growing and shedding. In fact, it grows much more than it sheds (otherwise, we would all be bald), so for every hair you see that has shed just know that there is hair growing to replace that. Your diet- Doing crash diets or not getting enough nutrients in your diet can have an effect on your hair. It is very important to eat a proper diet full of fruits, vegetables, and water daily. Medications- There are many medications that can cause hair loss. The top culprits are high blood pressure medicines, thyroid medicines, antibiotics, and sometimes even birth control. If you have noticed a change in your hair since you have been taking any of these medications consult your doctor for alternatives before you just stop taking your medicine. Anesthesia- If you have recently had any kind of surgery and needed anesthesia, you may notice more shedding in your hair. This is one of its negative side effects and it can take up to six months before it completely leaves your system. Once it does leave your system, your hair will begin to stop shedding excessively. Too much heat- When using too much heat on your hair, it will definitely cause it to break and shed. When using flat irons and curling irons, it is extremely important to use the minimum amount of heat that will still give you the results you want. People with very thin hair should not use high heat. I suggest starting at 300 degrees and increasing in increments of 25 until you see the results you want. Relaxers too often- I have said this before and I will say it again. 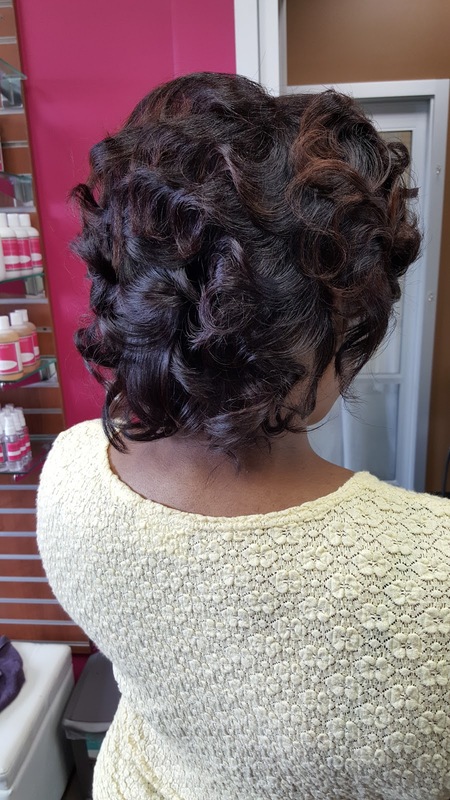 Getting relaxers every 6-8 weeks is too soon (see why here). If you are doing this it is causing your hair to become over processed and damaged. Instead, wait until you have too inches of new growth before getting your relaxers. Split ends- When it is time for a trim, you may see your hair begin to shed more. Split ends literally means that the ends of your hair begin to split and one hair starts to become two hairs, making the strand weaker. Weaker hair strands means that they can, and will, become more fragile and break a lot easier. Doing regular things like combing or rubbing your fingers through your hair while having split ends will cause it to break. 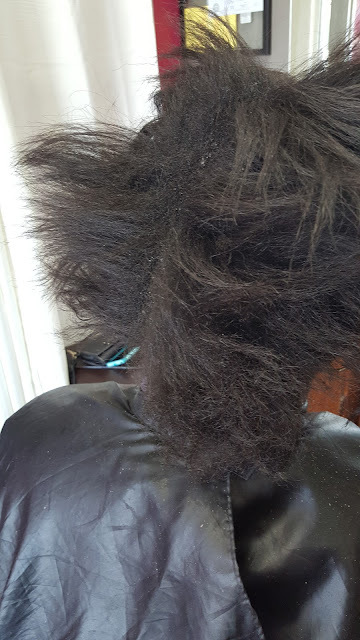 The only way to fix this is to cut the hair at the point where the hair has began to split. There is no product that will fix split ends! Not getting them trimmed will result in the hair continuing to split and in the end more hair will need to be cut. Be sure to get your ends trimmed every three months. Heat too often- Using too much heat and using heat too often are two different things but both have the same end result, hair breakage. Too much heat refers to how high you have your styling tool on. Too often refers to using it more times than needed. Some women are guilty of doing both which is definitely not good for the hair. You should only use heat on your hair once per week or less. Stress- Large amounts of stress can cause your hair to shed more than average. Often times the amount of stress required to contribute to hair loss is an ongoing episode or something extremely traumatic. Simply having one bad day at work will not cause your hair to start shedding more, where as having a bad day every day for months on end will. Try your best to keep your stress levels to the absolute minimum. Too much tension- Too much tension on the hair is any style that is too tight. This can include braids or pulling the hair back a lot into ponytails. If there is too much tension on the hair, especially around the edges, it will cause them to shed. Be very mindful of this when getting different hairstyles. If it is even slightly uncomfortable, double check to make sure you are not causing extra tension in that area. These are my top 10 reasons why your hair is shedding more than normal. If you suspect your hair is doing more shedding than 100-200 hairs per day be sure to check this list to make and see if there is something you can do yourself to correct it. Sometimes all it takes is changing one thing in our hair care routine to fix this problem!